You know the feeling—you’re close to a critical deadline, working hard to finish that report, app or blog post (ahem). You are jogging in the morning, managing meetings or juggling life—but you still can’t afford to miss key inputs that could risk your project, or your day. In this highly connected mobile world, you must remain focused and deliver on time. Wearables are an emerging type of device that promises to be always with you and provide relevant, personal notifications to keep you focused—through simple, natural and brief interactions. These context-aware devices become work companions, health advisors and even intelligent assistants. It’s a field still in formation, and with more than one-third of online U.S. adults reporting using a wearable device1, one that has the potential to help us do more in life and work. Over the past months, we’ve delivered a number of experiences on wearables: OneDrive, OneNote, PowerPoint, Skype, Yammer, as well as some from our newly joined Sunrise and Wunderlist teams. You even have Cortana on your Microsoft Band! Today we’re launching a new round of wearable productivity apps, as part of our quest to reinvent productivity on all platforms. Check out all our new and updated wearable apps below! The all-new Outlook for Apple Watch is an extension of the Outlook you know and love—helping you keep up to speed with your emails, your calendar and your life. You’ll never miss what’s important with Focused Inbox Watch notifications. And browse and read full emails right from your wrist—even take action immediately by archiving, deleting, flagging or scheduling them to appear later. We’ve also added Quick Replies, with pre-written responses and voice dictation for a more personal touch. Finally, you can see unread emails and your next calendar appointment on the Glance screen. It’s never been easier to manage your work and life. Get Outlook for iOS devices now. Reply, voice-dictate, schedule and more with Outlook for Apple Watch. 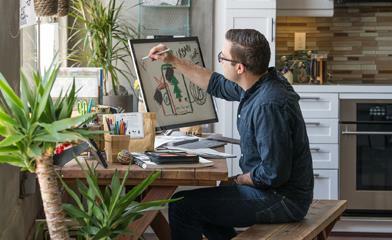 It’s now even easier to capture your ideas on the go with Wunderlist. Say hello to Quick Add on Wunderlist for Apple Watch. Simply open the app, Force Touch and say, “Call the new clients tomorrow at 10 a.m.” Wunderlist works its magic and creates the to-do item and automatically adds a Due Date and Reminder. We’ve also redesigned Wunderlist’s Glance to help you be even more productive throughout your day by showing you up to four to-dos on your agenda. Get Wunderlist for iOS devices now. 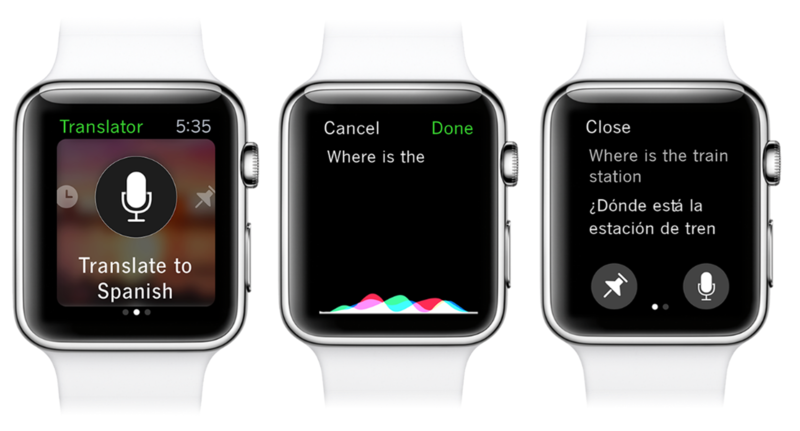 Use your voice to quickly add new tasks on Wunderlist for Apple Watch. Magic. Yammer for Apple Watch helps you to stay on top of your most important conversations and activities at a glance and take quick action so you have fewer to-dos at the end of the day. You’ll be notified instantly of Yammer announcements or updates to relevant conversations. Then tap your Apple Watch to Like, Mark as Unread, or View on Phone to continue working on your iPhone. And with Glances, you’ll get a quick view of the number of unread messages and notifications. Look out for Apple Watch support coming soon to Yammer for iOS. Start collaborating on Yammer for Apple Watch. And with just one tap, continue on your iPhone. With the all-new Microsoft Translator for Apple Watch and Android Wear, just speak into your watch to get instant translations in 50 languages. You can translate even faster by pinning your most commonly used translations and settings to your watch screen for easy access, and browse your history of recently used phrases. The companion apps for iPhone and Android let you manage your settings and translate right from your phone or when you prefer to translate typed text. Get Translator for iOS devices or Translator for Android devices now. Talk into your watch. Translate into 50 languages with Microsoft Translator. Instantly. 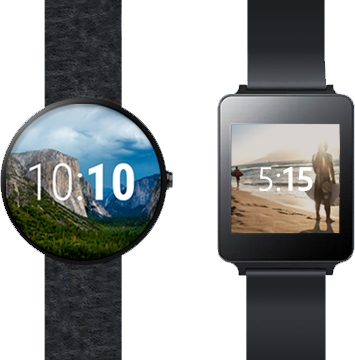 The new OneDrive for Android Wear brings many improvements. Among the highlights, with the new OneDrive watch face, every time you activate your watch, you’ll see a great photo from the last 30 days. It’s a fun way to personalize your watch with new photos rotating through every month. And with OneDrive notifications on your watch, you’ll always be up-to-date on edits made to shared documents. Get OneDrive for Android devices now. With OneNote for Android Wear on your wrist, it’s now even easier to stay organized and keep track of your notes. You spoke, we listened. Now, in addition to dictating a new note with the ease of saying “Ok Google, take a note,” you can see your most recently viewed notes right on your watch. No more balancing acts are needed between your phone and whatever else is keeping your hands full. Get OneNote for Android devices now. Just say “Ok Google, take a note” to start dictating a new note instantly. So keep moving and start wearing our productivity apps now. We have one for every dress code, weather and time of year—pick one or many, and be more productive at life and work. Apple Watch, iPhone and iOS are trademarks of Apple Inc., registered in the U.S. and other countries. App Store is a service mark of Apple Inc. Android and Android Wear are trademarks of Google Inc.